Attacking an opponents legs is generally considered a good way to permanently disable your foe. You know this, and your opponent likely knows this. All the more reason to protect your lower legs by wearing a pair of Baudouin Leather Greaves! 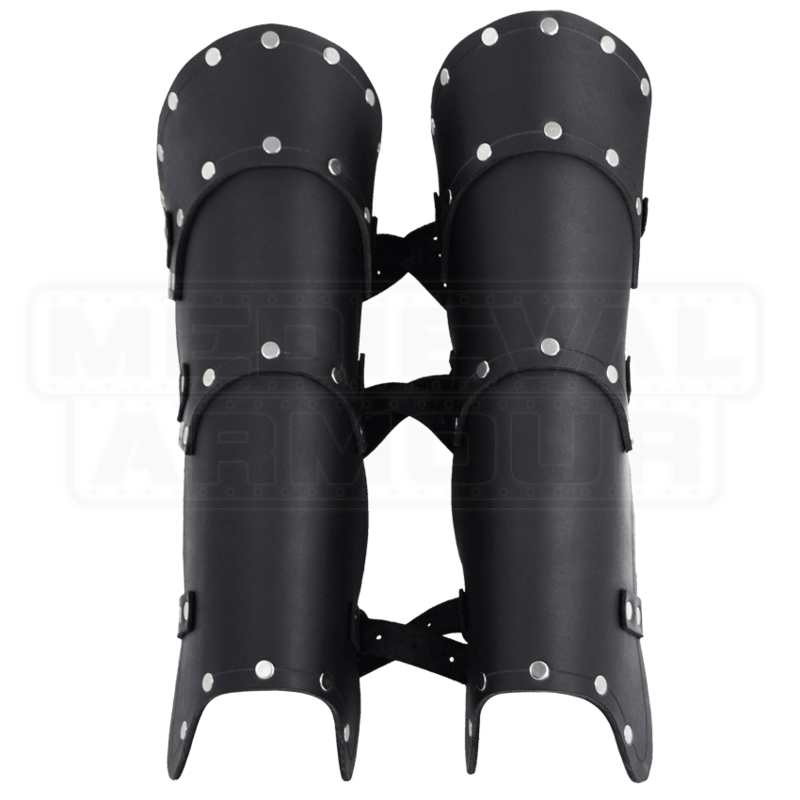 Based loosely on the greaves of the early 10th century, these leather leg protectors are designed to help protect your shins from attacks, giving you a bit more safety in battle, as well as a bit more comfort when it comes to LARP encounters. The greaves feature a layered leather design which trails down the leg from just under the knee to just above the foot. Three successions of layered leather protections are riveted together to create a cohesive design, secured around the lower leg via a trio of leather straps and buckles, which are found on the rear of the greave. They are offered as a matched pair and come in two colors and one size, which is easily adjustable thanks to the flexibility of the leather as well as the variable buckles used to secure it in place. 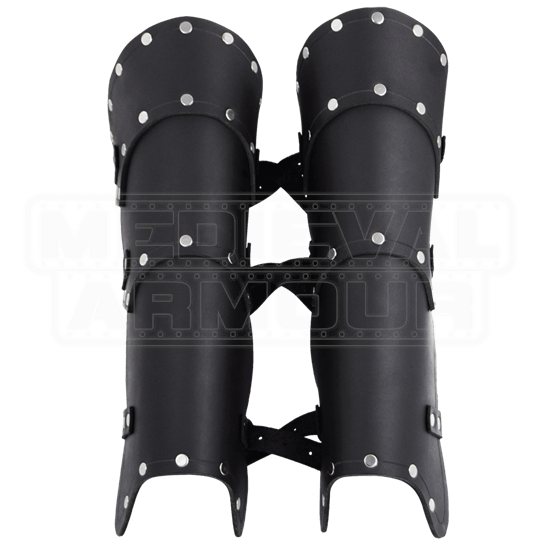 In terms of looks, these Baudouin Leather Greaves are fairly versatile as well, ensuring that assassins, rogues, bandits, Vikings, knights, adventurers, and more can benefit from the protection that these leg protectors can offer.